At Holy Spirit, we use the Read Write Inc (RWI) Phonics Programme to get children in EYFS and Key Stage 1, off to a flying start with their language, reading and writing skills. RWI Phonics is a method of learning centred around letter sounds and phonics, and we use it to aid children in their reading and writing. Each member of staff has received extensive Ruth Miskin Training, rated outstanding by Ofsted, to ensure consistent practice across the whole school. Please watch this helpful tutorial for further information. How does RWI Phonics help children read? Please watch Sylvie to help your child use the correct pronunciation of sets 1, 2 and 3 sounds. 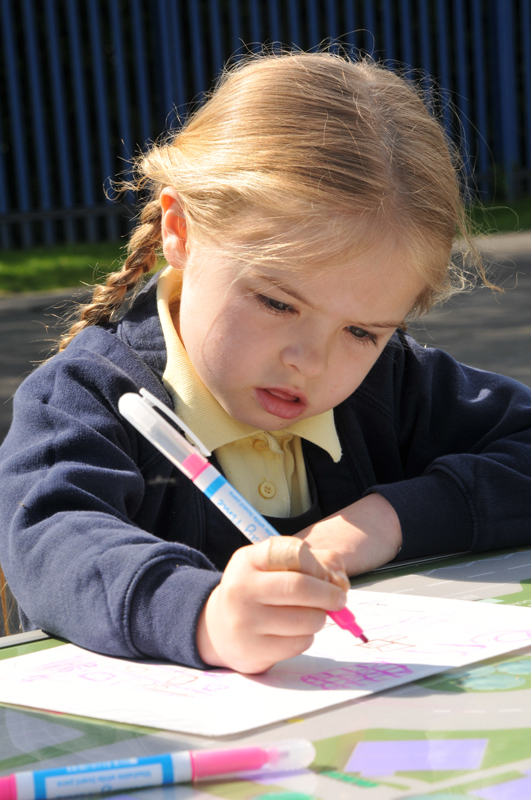 How does RWI Phonics help children write? Please watch this video to help your child use the correct handwriting formation of the letters. How can you support your child with RWI Phonics at home? We have included some support materials, to help you help your child at home. Please click on the links below or if you have any problems downloading these files or would like a paper copy, please do not hesitate to contact the school office. You will also find a wealth of RWI Phonics information on the internet. Visit the parent pages on the Ruth Miskin Training website. Sign up to the Ruth Miskin Training newsletter. Access free e-books for home reading at the Oxford Owl Website. Visit the Read Write Inc. website. If you require any further information about the programme, please feel free to contact our English Lead, Mrs Trentham, via the school office, who will be more than happy to help you.